Currently, when editors reference different parts of the same book, they have to repeat all the information about the book. 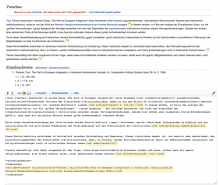 This is cumbersome, lengthens wiki text, and it also obscures the fact that many references actually come from the same volume. A proposol has been put up in T151301: Implement "extends"-attribute for ref-tag , as part of T100645: Efficient way to refer to different pages of the same work when adding references to an article (#17). The idea is to create a new tag that can be used to extend a reference. E.g. The reference "A book, an author, a publisher, an ISBN" could be extended with "page 13"
Let's make a prototype for that solution, to see what would be all the places affected. @Lea_WMDE Please update/add to this task if something is wrong/missing. Thank you! @thiemowmde please add any ideas you might have for approaching this task. @Esanders I hear you're the parser expert :) Would you be interested in helping here? 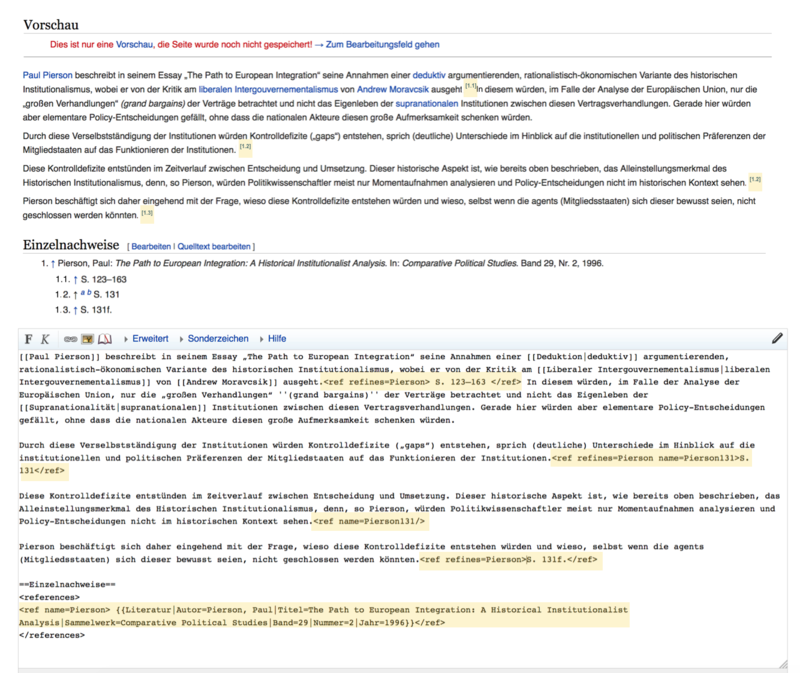 Lea_WMDE moved this task from Backlog to Project on the Wikimedia-Hackathon-2018 board. From what I can tell, this task is proposing a markup change that would be implemented in the Cite extension, and isn't related to the visual editor, so I'm removing the VisualEditor tag. I see that T100645 is mentioned in the task description, but I think this task is actually a duplicate of that one; both of them want an efficient way to improve referencing different pages of the same book. I had added the visual editor tag, because it should not break the visual editor when markup syntax is changed. But you say this would not be a problem? Yes, that seems to clear up the differences. Thanks! Parsoid handles the conversion between wikitext and HTML, so if the new wikitext structure is supported by Parsoid then it should be supported by the visual editor by default. In theory. Of course, all sorts of things could potentially go wrong, so that does actually need checking further down the line, but probably not at the prototype stage.